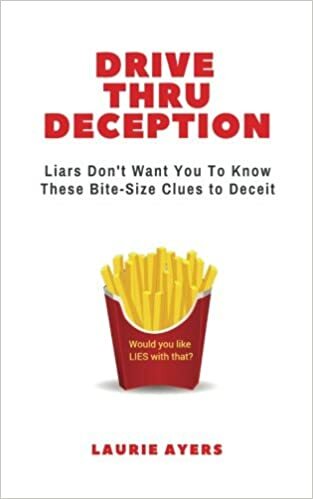 Drive Thru Deception: Liars Don’t Want You To Know These Bite Size Clues To Deceit by Laurie Ayers was published on December 5th, 2017 by Richard Reese. Improve personal relationships & professional exchanges with a proven technique to tell if someone is being deceptive. “Drive Thru Deception” is a handbook of how to uncover deception using words instead of body language. It is the ultimate pocket guide that liars don’t want you to have. Through stories, humor, and dozens of practical tips, Deception Detection Analyst, Laurie Ayers, shows you a method to determine if someone is lying. “Drive Thru Deception” is a unique insight into the language of deception told in a quirky compilation of indispensable lessons, anecdotes, examples, and little-known tells, packed into easy-to-digest, bite-size nuggets. This handy reference provides practical advice that you’ll be able to apply immediately. Whether you are struggling with a personal relationship, concerned about coworkers, or are in the human resources, sales, customer service, legal, medical, negotiation, mediation or law enforcement field, this book is a must! 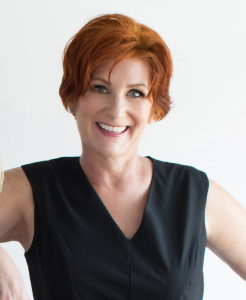 I’m Laurie Ayers; I work with men and women who want to increase their deception awareness to avoid wasting time or money and eliminate making poor decisions based on inaccurate information. My journey into deception detection first began in the 1980s after I trusted the wrong guy with my safety. I continued my lie spotting training after I learned that monogamy didn’t exist in my relationship (even though I thought it did). Finally, after watching the 5 o’clock news in 2009, I learned that my long-time friend and associate was being charged as a principal in a Ponzi scheme, the same person with whom I invested my retirement, and daughters’ college savings accounts with. It was at that moment I decided I was going to fully immerse and dedicate myself to becoming a deception expert. I had always been considered intelligent and very good at research. I did not jump into any of the above without extensive and careful consideration. How could I have missed such high-stakes deception? I was impassioned to make sure I learned everything factual about deception based on proven scientific methods. I made it my mission to master the knowledge, skills and abilities in deception detection in order to share this valuable information with others so they could avoid similar painful experiences. For years I’ve worked as a deception expert consulting in the corporate world with medical, law enforcement, litigators, news media and human resources professionals. This is a worthwhile and interesting niche to share my expertise. I’ll work with anyone who wants to get to the truth, although these professions listed above tend to be clients more than others. These same skills are transferable on a personal level as well. Parents want help to tell if their kids are lying, as well as peace of mind toward facility providers caring for their elderly parents. I regularly receive questions from people in relationships or wanting to get into a relationship so that they are able to feel more confident in their judgments with a significant other. Today I’m the managing director of Concealed Statements where I get to consult with others about truth, credibility and deception. I love what I do. My business is so rewarding. If my prior experiences and my current expertise can help others from getting hurt, cheated on or scammed, then my day was not wasted. As an analyst, consultant and speaker I’ve helped people from all around the globe learn how to have the confidence and peace of mind that comes from believing the truth and disbelieving lies. If you’re interested in my full bio, including my credentials that set me apart from other statement analysts you can learn more here. Do you try more to be original or to deliver to readers what they want? Yes to both. When it comes to nonfiction, readers don’t have a ton of time or attention span to sift through a lengthy book. I wrote something that is original and what they want. Rather than taking six pages to make a point, I do it in two paragraphs. It’s concise and informative. Do you want each book to stand on its own, or are you trying to build a body of work with connections between each book? Again, yes to both. I wrote Drive-Thru Deception as a stand-alone. Actually, each chapter is also written that way, so that the reader can walk away from it and not be concerned where they left off. Now that it is published, it lends itself well to a series of similar books, focused on a specific niche. What kind of research do you do, and how long do you spend researching before beginning a book? My research began 20 years ago when I first started studying the topic of deception. It wasn’t until 2007 when I fervently began immersing myself in becoming proficient to the expert level. I have researched and studied with the leading deception detection experts in the field. By the time I wrote the book, I was a subject matter expert in deception detection, therefore no additional research was necessary. If you didn’t write, what would you do for work? I am also a deception analyst. I analyze written and verbal statements for credibility. Do you hide any secrets in your books that only a few people will find? I sure do. There are at least half a dozen references only a select few will understand what they mean. Do you Google yourself? Yes, often. I have alerts set up to email me as soon as something new with my name shows up online. I used to work for the federal government, so my personal information has been compromised more than once. I have a 3rd party monitoring for breaches, but I like to check myself. Plus, if someone talks about me or my book, I want to know about it as soon as it happens. What is your favorite childhood book? I don’t remember most of them; my childhood was a number of decades ago. I know we had multiple bookshelves loaded with books. Every night before bed I’d would read a story or have one read to me. A couple that stick out are The Poky Little Puppy and Never Tease a Weasel.